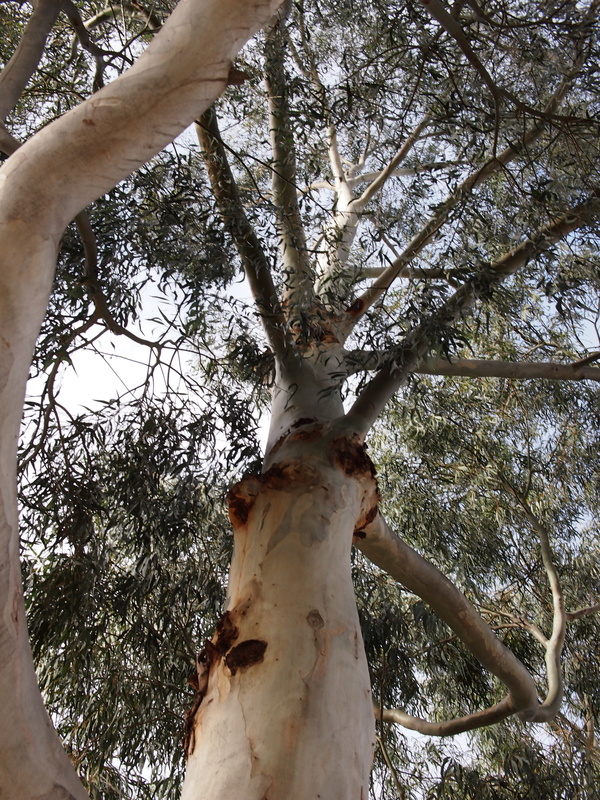 Although my street is lined with pretty deciduous plane trees, there is nothing quite like a gum tree to remind me of home. I think, too, they have the best looking trunks. This fine specimen is located on my university campus, but I had to look up a way before I could see any branches. They grow fast!